Jason Kenney, leader of Alberta's United Conservative Party, has apologized to Prime Minister Justin Trudeau for claiming the PM "can't read a briefing note longer than a cocktail napkin." 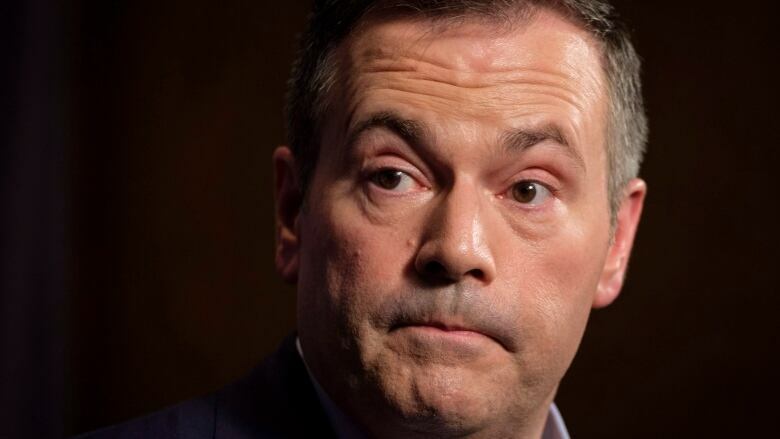 Jason Kenney, leader of Alberta's United Conservative Party, now says he regrets his recent wisecrack about Prime Minister Justin Trudeau's grasp of policy. After being quoted last week in a column by the Calgary Sun's Rick Bell calling Trudeau an "empty trust fund millionaire" with "the political depth of a finger bowl" who "can't read a briefing note longer than a cocktail napkin," the former federal cabinet minister and current leader of Alberta's opposition party is walking back his withering comments. "I regret having said that, because I've gone for a long time without making ad hominem remarks," Kenney told host Vassy Kapelos on CBC News Network's Power & Politics. When asked if he apologizes to Trudeau, Kenney said, "Sure." The former Conservative cabinet member previously doubled down on his criticism, insisting he was standing up to a prime minister who has put the future Trans Mountain pipeline expansion in jeopardy. "I just realized it wasn't in keeping with the tone I've been trying to set," Kenney said on Power & Politics, claiming that he has spent the past two years "without ever uttering an ad hominem criticism of our premier, and I ought not to have done that to the prime minister. Period, paragraph." But Kenney's apology wasn't entirely without reservation. "I have never seen people of my province feel more frustrated with their place in the federation than now," he said, referring to the current standoff between the federal government, British Columbia and Alberta over Trans Mountain. "We have been massive contributors to Ottawa, and yet we cannot seem to get any real solidarity in developing the wealth that we share across the country, and that's a point I will make without personal comments in the future."